There are a few things on my calendar every year that I never want to miss: Christmas, my birthday and The New England Pharmacists Convention. Once a year in late September, pharmacists from all over New England gather together at one of the premier regional pharmacy events in the country. This year the conference is being held for the first time at Gillette Stadium in Foxboro Massachusetts. For me, it will be the shortest drive ever, as it has typically been held at Foxwoods Resort or Mohegan Sun in Connecticut. 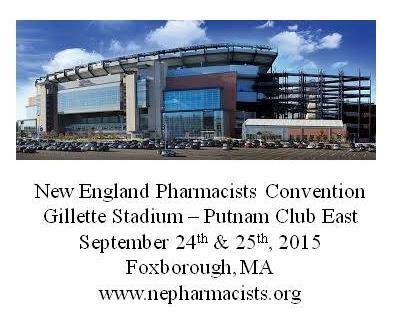 The conference is a joint effort of the CT, RI, NH and MA pharmacists association. As someone who appreciates the difficulty of creating an event like this with so many people involved, I am grateful for the efforts of these associations. The dates for this year’s conference are September 24th and 25th. Why do I go every year? First, I’ll be honest, the accommodations are always incredibly comfortable and convenient. If I am going to spend all day (one or two days) at an event listening to lectures – I want the facilities to be comfortable. Nothing is worse in my opinion than being packed like sardines into a small rented room where you sit shoulder to shoulder with strangers who are all as uncomfortable and crowded as you. Every year I have gone there has been ample seating in comfortable chairs and climate controlled rooms. The venue has always had sufficient technology as well to make the event relaxing (good speaker system, Wi-Fi, visuals). Second, the topics and speakers have almost always been very interesting and informative. Frankly I believe that the Continuing Education industry is failing us in many ways. Much of what we do every year that qualifies as “continuing education” credits is hardly worth our time. But these events tend to deliver good, quality content year after year. Yes, I’ve heard a few duds. But mostly the speakers and content are great. On Friday there are CE courses running all day long, and you can choose which you want to attend based on your interests or career goals. Fourth, I love the Exhibition Hall. For me this is one of the highlights every year. I love to talk with representatives of the various Pharma companies, distributors, software vendors, academic representatives, etc. I enjoy trading business cards and getting new ideas to think and write about. Fifth, I enjoy the food, friends and networking. These things might seem rather unimportant when compared to the academic opportunities that the conference provides, but I think they are equally important as I seek to always grow in my understanding of our profession and those who practice it. Good food makes for good times and good conversations. What could be better than that? 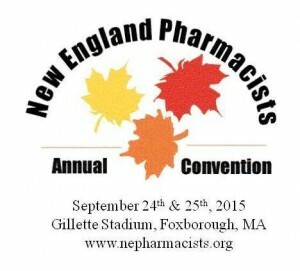 So…WILL YOU BE COMING TO THE NEW ENGLAND PHARMACISTS CONVENTION? I believe it is reasonably priced given the size of the group and the character of the venue. 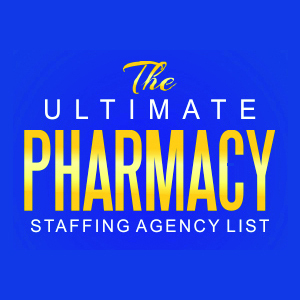 We attract pharmacists from Maryland up to Maine (and hey, if you live further, you are welcome too!). I would love to see you there. In fact, if you want to get together over lunch or a drink and talk about pharmacy, social media, careers, drugs or diseases (or virtually anything else)…I’m happy to talk with you!